Hoop Nut #UAAP78 Ateneo Blue Eaglets Juniors Division UAAP #UAAP78Jrs Roundup: Bullpups one win away from elims sweep and outright Finals berth. 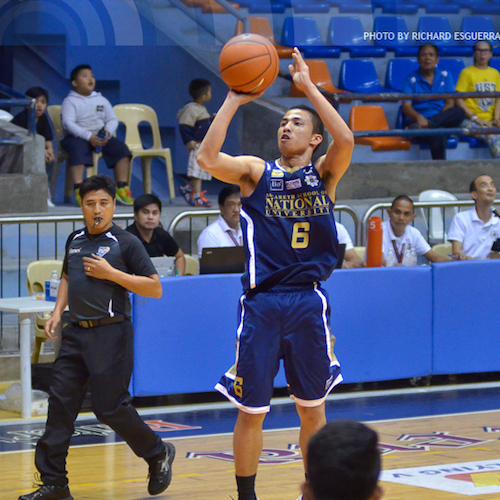 #UAAP78Jrs Roundup: Bullpups one win away from elims sweep and outright Finals berth. Only the De La Salle-Zobel Junior Archers stand in the way. National University inched closer to clinching an outright championship berth by clobbering University of the East, 94-60, yesterday this past Tuesday in the UAAP Season 78 Juniors’ Basketball Tournament at the Filoil Flying V Arena. Daniel Atienza and the rest of the Bullpups are closing in on an outright Finals spot. With the Bullpups coasting to a 71-37 lead entering the last 10 minutes of play, coach Jeff Napa had the opportunity for his starters to rest and gird up for their biggest battle ahead. Unbeaten in 13 contests, NU seeks to complete a double-round elimination sweep and claim the coveted thrice-to-beat advantage against DLSZ on Saturday also at the San Juan venue. It was business as usual for beanpole Justine Baltazar with his eye-popping 16 point, 16-rebound, 3-block effort to pace the Bullpups. De La Salle-Zobel, priming up for its much-anticipated duel against NU, hammered out a low-scoring 47-35 win over Adamson to assure itself of the No. 2 slot in the Final Four. The Junior Archers, who were led by Aljun Melecio's 14 points, improved to 11-2. Both teams combined to shoot a paltry 22.6% from the field for what is currently the lowest-scoring game of the season. Nobody outside of Melecio broke the double-digit scoring barrier for the Junior Archers, while Jayson Celis was the lone bright spot for Adamson with a dozen markers. The Baby Falcons were eliminated from the Final Four race after absorbing their seventh defeat. Aljun Melecio pops the cap on a long tom for DLSZ. Brent Paraiso drives strong against the Baby Falcons. Evan Agbong and the rest of Adamson have been knocked off from Final Four contention. In the other games, defending champion Ateneo (9-4) blasted University of Santo Tomas, 80-57 (3-10), while Far Eastern University-Diliman (8-5) downed UP Integrated School (2-11), 81-71, to formally clinch the remaining two spots in the semifinals. The Blue Eaglets leaned on a strong third quarter surge to break the game open and prevailed despite seeing starting slotman Jossier Hassan go down with what looked like a dislocated shoulder. Jolo Mendoza paced Ateneo with 14 points in under 18 minutes, while Gian Mamuyac and SJ Belangel each tallied 10 markers. 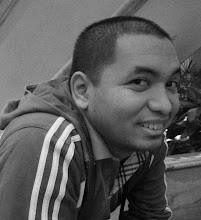 Miguel Ratuiste was the only Tiger Cub to score in double-figures with 12. Gian Mamuyac goes up for the drive. Jolo Mendoza scopes the floor for Ateneo. SJ Belangel goes on an aggressive attack for the Eaglets. The Baby Tamaraws, for their part, had a strong start against UPIS and played well enough to keep the Junior Maroons at bay in the second half. Eric Jabel exploded for 22 points on 4/7 3-point shooting for FEU, which also drew 10 points and 7 boards from big man Kenji Roman. Five UPIS players scored 10 points or more, led by Juan Gomez de Liano, who dropped 15. All images are from ABSCBN Sports/Josh Albelda.